Episode #12 – Interview with Ian Olney: Euro Horror Special | That's a Wrap! Join us in welcoming Ian Olney, Associate Professor of English at York College, to That’s a Wrap this week to discuss a particular brand of horror that many (even fans of the genre) are unfamiliar with: Euro Horror. Ian discusses the origins of this movement in Europe, it’s key characteristics, major films and lack of scholarly attention. 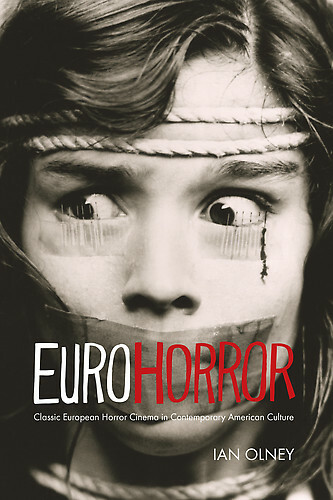 Professor Olney’s book, Euro Horror: Classic European Horror Cinema in Contemporary American Culture, is an utterly fascinating and highly significant contribution to the field. Our own Nick Schlegel, also well-versed on the subject, joins Ian, Erik and Chris in a full-bodied exploration into all things Euro Horror. With autumn closing in, you’ll not want to miss this Spook-tacular edition of That’s a Wrap! A special episode for Nick as Ian’s work served as inspiration for his own forthcoming volume on Spanish Horror.